Sometimes you just need a little chocolate! Ok, sometimes you need a lot of chocolate! These gluten free bars have all kinds of yummy goodies on top. Peanuts, marshmallows and chocolate drizzle. But don’t stop there! Change up the toppings to suit yourself. After all, these are your brownies. Now get those bowls out and start stirring! Spray an 8×8 pan with non-stick cooking spray or line with parchment paper. Whisk the flour,baking soda, salt and xanthan gum (if needed) and set aside. In a large microwavable container, melt the butter and 1 cup of the chocolate chips in 10 second intervals until smooth. Mix the eggs and vanilla together in a medium bowl. Add the melted chocolate to the eggs and combine. Add the dry ingredients and stir together. throw in 1/2 cup of the chocolate chips into the brownie batter. Pour into the 8×8 baking pan and bake for 20-25 minutes. Immediately sprinkle with the marshmallows. Turn the oven to broil and broil until the marshmallows turn golden brown. Take out and sprinkle with the peanuts and the chocolate chips. 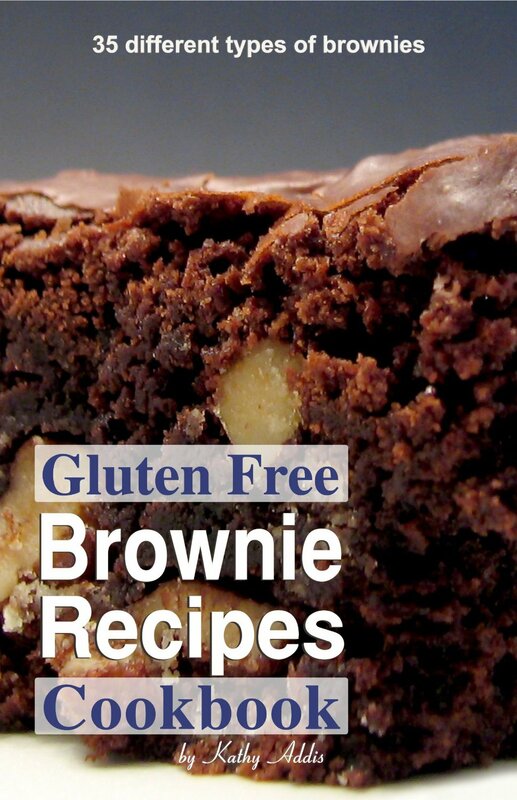 Remember: Gluten free brownies are done when a toothpick inserted in the center comes out with some crumbs on it. 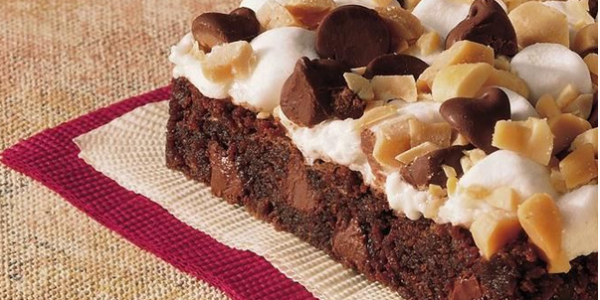 It is better to have your brownies a little undone than overdone and dry. 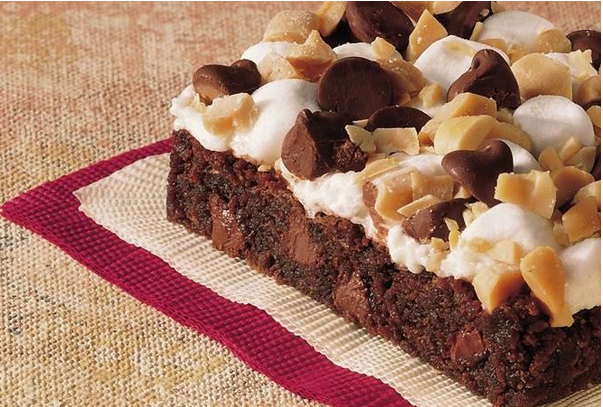 Surprise someone you know with a pan of homemade brownies. Learn how to make two basic recipes into 35 different types of brownies.